Poor Grant! But I'm like you... his choice! I have done the exact same thing with Reagan's pajamas! And I can't tell you the number of times my husband has come home from work to find both Reagan and me STILL in our pajamas from the night before! 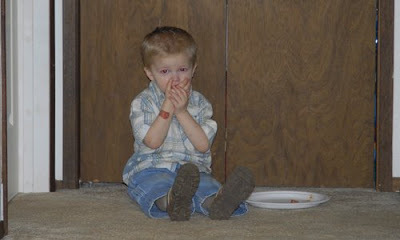 Hopping over from MckMama's blog...I'm glad to know it's not only my children who can make a meal out of condiments! 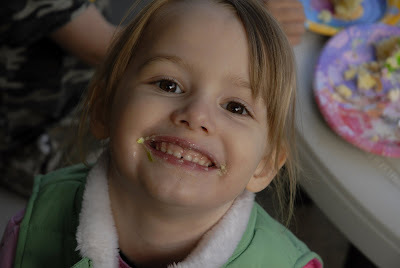 I've actually seen my twins devour guacamole and salsa with a spoon because the chips weren't "fast enough." 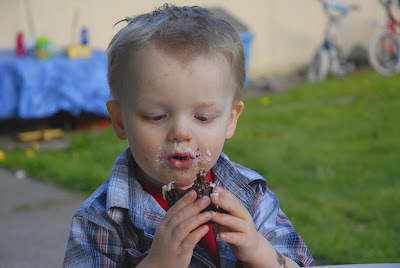 And, the community messy face, yeah, that totally doesn't happen around here either! LOL Thanks for sharing your week! 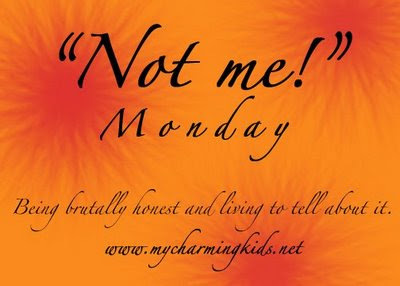 LOVE your not me monday post!! You sound as if you could be my long lost sister and you hubby sounds as if he could be my hubby's long lost brother!!!! I just can't stop laughing at the fact that this could have very easily been a post from my life!! YOu crack me up. I can so relate. I find it funny that people think I am mean putting my kid on time out at a party. Deal I say. I have to admit I have NOT ever jumped out of the shower dripping all over the carpet to check on my babies too. No matter what number kid they are;o)You are a awesome Mom and Marty tsk, tsk. Sounds like s/thing my hubby would find funny too. OMG - these were so funny this week. I laughed so hard at the ketchup one, we let Ellia do that with tartar sauce when we went out for fish & chips. 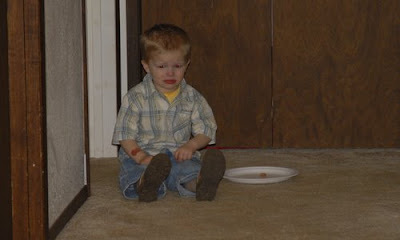 And the birthday one....can't believe you took pictures of him in timeout!